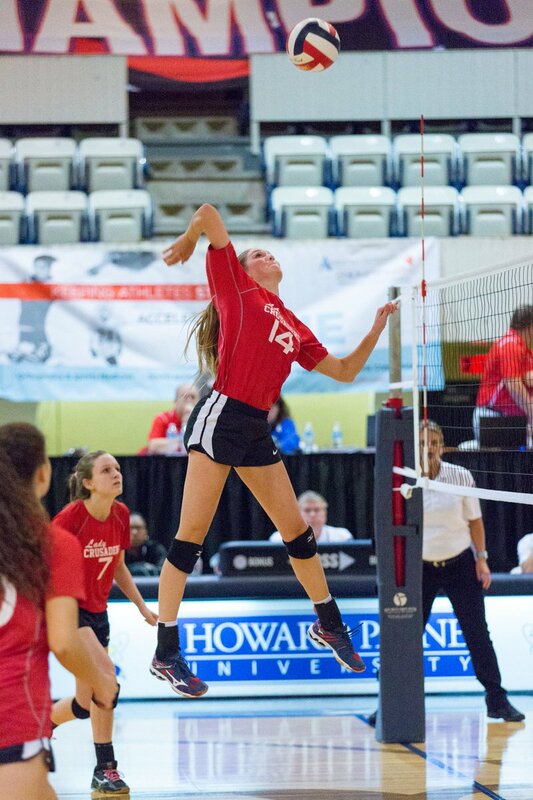 Cadi Boyer (16 Mizuno) received a shoutout from MaxPreps for topping the nation in blocks with 492. She notched 86 more blocks than the second place finisher. Sophia Berg (17 Molten) was named to the TAPPS All-District 4-3A First Team and the All-State First team. She was also named to the All-Tournament Team at the TAPPS State Tournament after helping her team to a second place finish. Shelby Tate (Sand) was named Second Team All-District 27-6A. Proud of you, Shelby! Aleigh Wessels (17 Navy) was named District 25-3A Defensive Player of the Year after leading the district in blocks. 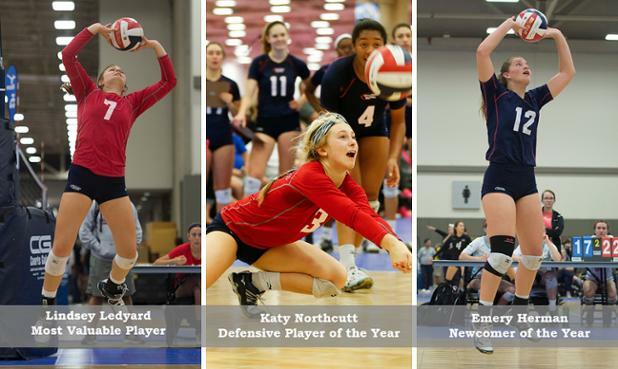 State Semifinalists Savannah Stanley (17 Cedar Park), Gabi Sommerfield (17 Cedar Park), and Ella Shipper (16 Cedar Park) for being named to the District 19-4A First Team. A total of FIFTEEN AJV players were named to the 19-5A All-District team! St. Michael's won the 2016 TAPPS State Championship. Tori Pylypec, Jada Birkel, Lauren Milliner, Kelsey Kilgo, Adri Sotelo and Gracie Cuba were all members of the team. Tori, Jada and Gracie were also named to the All-Tournament Team. Bella Mae Swafford (16 Mizuno) was named the Most Valuable Player for District 27-3A. Coach Shalanda Byers aka Shaq (17 Mizuno, Anderson HS) was named the AISD Volleyball Coach of the Year.